When I first moved to South Carolina, I began searching for songs from my new home state. Right away, I fell in love with "I Got a Letter This Morning," from the sea islands of South Carolina. There are many possibilities for inclusion in the elementary music curriculum across several grade levels. "I Got a Letter This Morning" is in minor tonality and duple meter. It has a limited pitch set, la-ti-do-re-mi. The form is call and response, and each phrase begins with a syncopated rhythm. I chose to focus on duple meter macrobeat/microbeat rhythms and have a little fun with my kindergarten and first grade classes. We would be reading and chanting 4-beat rhythm patterns using the mail as our notation! To prepare, I gathered some regular business sized envelopes, and some larger greeting card envelopes. On the business envelopes, I wrote the word BILL, and on the greeting card envelopes, LETTER. I drew the matching rhythm notation on the back of each envelope, either a quarter note or paired eighth notes. Then, I laminated them for more durability. That was all I needed for kindergarten and first grade. 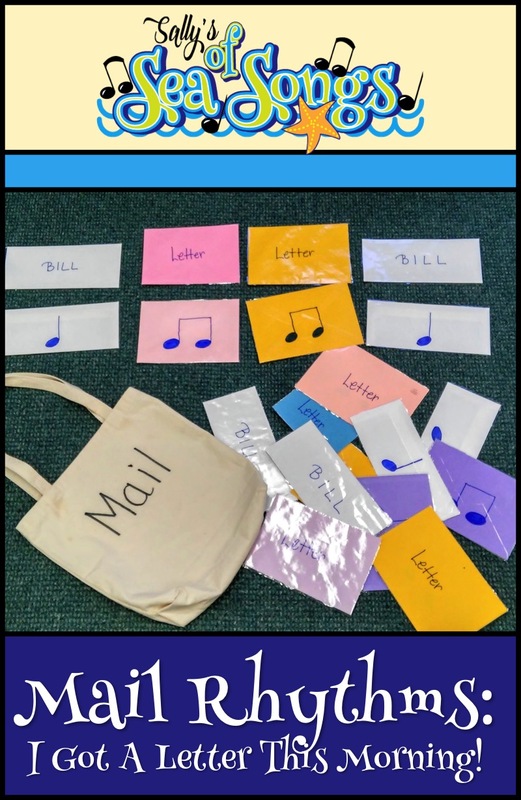 Older grades might need to use additional mail items to expand their rhythm vocabulary. Possibilities include invitation, magazine, and sale flyer. Students should be seated in a circle so they can see everyone. Choose one student to be the mail carrier. 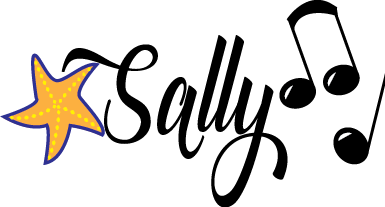 Teacher or students sing the song as the mail carrier "delivers" one piece of mail to the first four children in the circle. Depending on the speed of the mail carrier, you might have to sing the song twice. 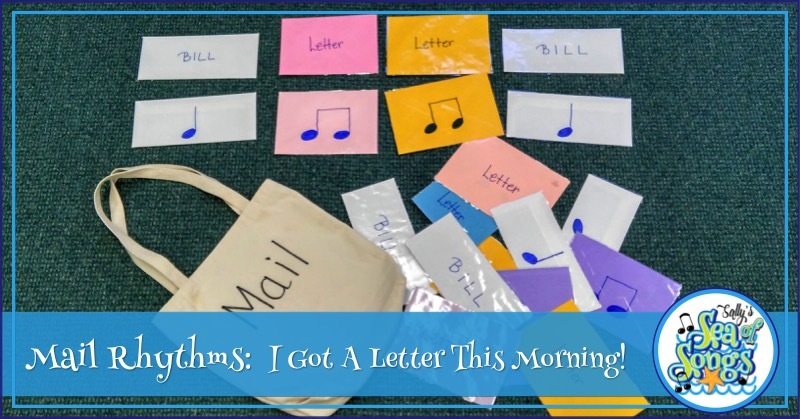 Children hold the mail up for everyone to see, and the class "reads" the four beat rhythm pattern using the mail words printed on the envelopes. If your students are ready for notation, flip the mail over to reveal the notation, and read it using whatever rhythm syllables that you use in your classroom. Repeat the sing & deliver process, stopping every four students to read, until everyone has a piece of mail. As a final challenge, read all of the mail from the beginning! Rather than deliver the mail to individual students, have the mail carrier set out a row of four pieces of mail on a designated spot in the center of the circle, or on a pocket chart row. 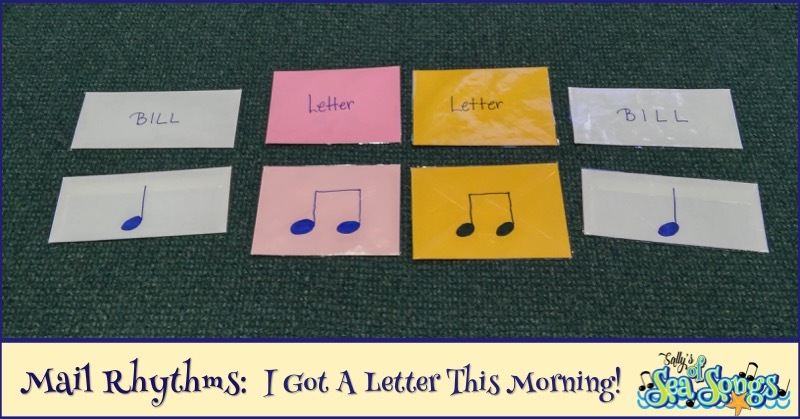 Choose another student to be the pointer, and lead the children in reading the 4-beat rhythm pattern using the mail words printed on each envelope. Flip the envelopes over to read the pattern from notation. As an added challenge, allow the student pointer to remove one envelope from each row, creating a silent beat. Try creating a center with letters and bills and allow students to create their own rhythms. For accountability, place some index cards at the center so students can turn the mail over and copy their favorite rhythm on the card. Everybody loves to get mail, and the theme of this game may fit right in with your kindergartener's unit on community helpers! What a fun idea! I bet your students love this!